PlayStation 3 (abbreviated as PS3) is a home video game console developed by Sony Computer Entertainment. And every PS3 system can give you pristine picture quality and the best high-definition viewing experience available. PlayStation 3 system will give you surprise with its gaming, music and online services. All PlayStation 3 systems are already equipped with everything you need to play games. The following types of files can be played under Video: Memory Stick Video Format, MP4 file format, MPEG, AVI, AVCHD, DivX and WMV. The following types of files can be played under Music: Memory Stick Audio Format (ATRAC), MP3, and MP4 (MPEG-4 AAC), WAVE (Linear PCM) and WMA. However, PS3 has limited compatibility with video formats that it reads, for example, MKV is not accepted at all. Moreover, there are plenty of movies which are encoded with MKV format. With this issue, many users are now in search of the way to play MKV on PS3, so that they can transfer and play them on their PS3 consoles. 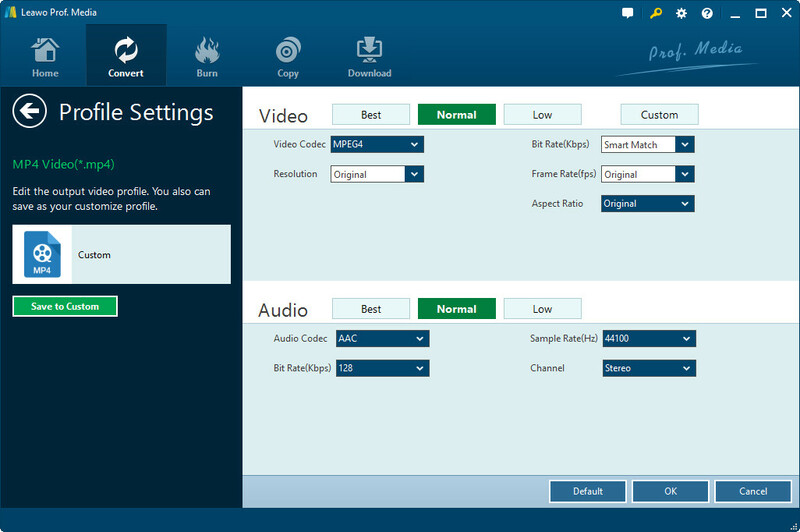 As the best MKV to PS3 converter, Leawo Video Converter can convert videos and audios between all popular formats like AVI, MP4, MOV, MP3, AAC, FLAC, etc. What makes this Video Converter superior to other free video converters is that its 2D to 3D conversion feature enables you to create 3D movies for vivid video enjoyment. This all-in-one video converter software offers powerful editing features to add special effects, watermarks, etc. Setting parameters of output profile is feasible as well within this video converter software. It can convert video and audio files for multiple portable devices, phones, tablets, PCs, websites and more. With user-friendly interface and super-fast conversion, you can make video and audio conversion easy and fast. 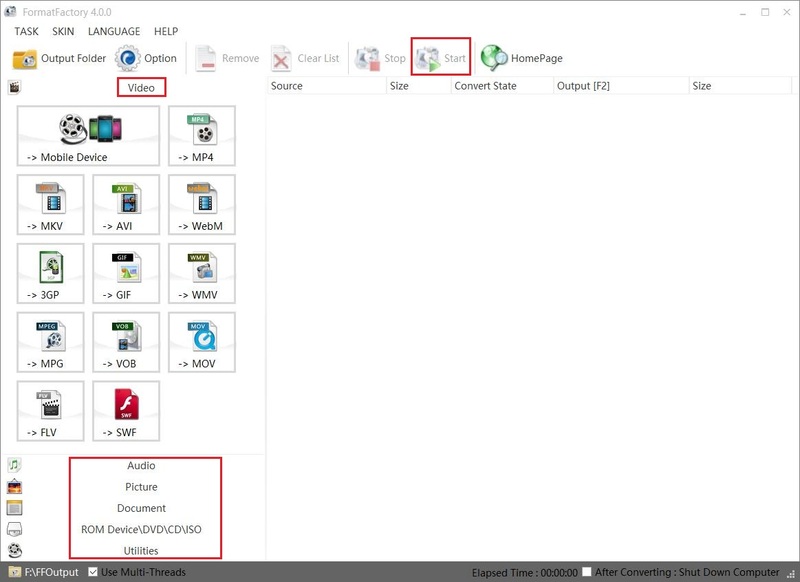 Step 1: Open the program you install and you should notice that it’s integrated into a software bundle named Prof.Media, Click Convert tag on the interface to load Video Converter. And on the main interface, click Add file button on the top-left or directly drag file to the interface to import the MKV video you’d like to convert. Step 2: To play MKV on PS3, you need to convert MKV to a format that’s compatitle with PS3, like MP4. To set MP4 as the default output format, click the button on the left side of the green Convert button on the top-right of the interface. On the following pop-up menu, click Change button in the middle to enter the profile panel to set the default output format. There’s a specific section with dedicated profiles for Sony device. Go to Device>Sony, find PS3 and click on it to choose it as the default output profile. Step 3: There’s an Edit button on the previously mentioned drop-down menu, click on it to enter the profile settings panel where you can adjust the parameters of the chosen output format. Step 4: To start converting MKV to PS3 compatible video, click the green Convert button on the top-right. A sidebar would show up and you can set the output directory on it. And then click Convert button at the bottom of the sidebar to start the MKV to PS3 conversion. Now the converted file could be recognized and played on PS3. You can either copy the movie to a flash drive or burn it to a disc to play it on PS3. Another program that can convert MKV to PS3 compatible format is Format Factory. Below are the instructions for the converting process. Step 1: Run MKV to PS3 converter “Format Factory”. Step 2: Select the output format needed that can PS3 play MKV. Step 3: Click “OK” button after setting all the parameters needed. Then click “Start” button. Apowersoft Free Online Video Converter is a third party free online based application to convert various videos among all popular video formats. 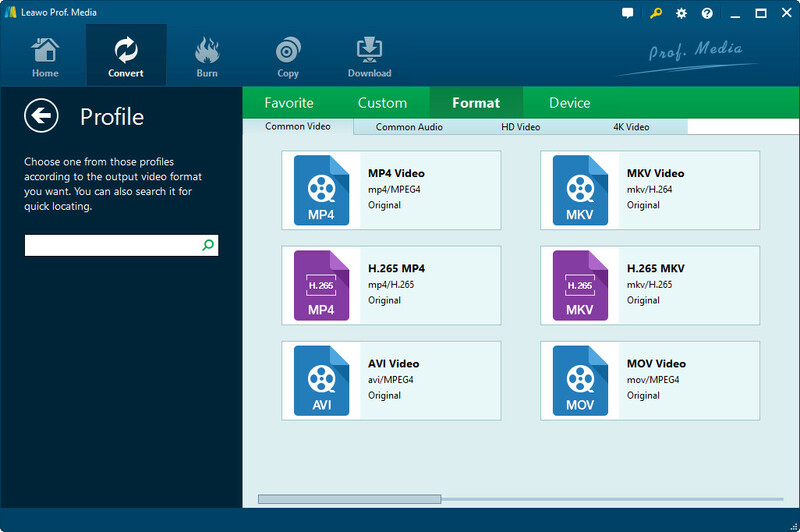 It offers those who want to convert MKV to PS3 compatible format a chance to do it for free. The MKV to PS3 converter has some exciting features. Other than a friendly user interface, it also has a super-fast conversion rate, high quality output, no registration and installation needed. Last but not least, it is compatible with all operation systems including Windows and Mac OS, and all of these services are unlimited. After knowing the top 3 MKV to PS3 converters, there is still another question that we need to solve: how to stream MKV movies to PS3 after converting. In order to successfully play various MKV files on PS3, a widely used solution is to convert MKV files to PS3 recognized formats. Let’s take the output files from Leawo video converter for example. To play MKV files on PS3, power on PS3 at first. We can copy and paste converted MKV files to video folder on the first menu of the flash drive. However, if there isn’t one, you need to create a folder and name it video on the first menu of the flash drive. Fire up Windows Media Player at first and then turn on PS3. Tap Options on Windows Media Player where you will see an unknown device (PS3) and press allow sharing to the PS3. Click “Apply Now” and select search media server on the PS3. Usually, the Windows Media icon will appear automatically. After appearing, make sure to click the “Windows Media” icon on PS3 and at the same time find the converted MP4 files and copy to PS3.